Also…. 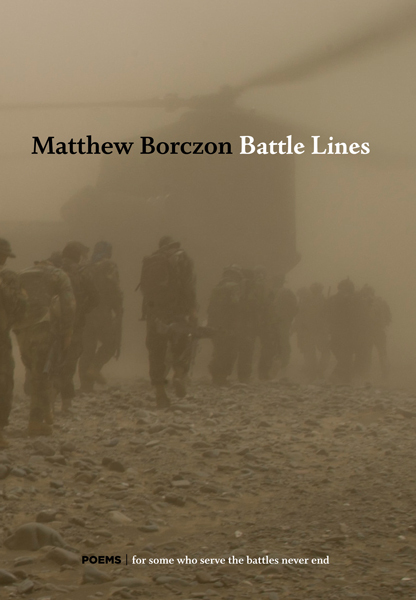 I have recently had the opportunity to check out the forthcoming collection from Matthew Borczon titled, Battle Lines, and for me, there were no battle lines drawn when coming to the conclusion that this new collection of war poems from Matthew Borczon was an amazing expression of raw emotions. Borczon pulls no punches, he takes the pen and pushes it across the paper with his soul, leaving words that haunt and words that heal. This is a must read, and it is available now for pre-order at Epic Rites.